Etymotic Research has their roots in audiology, so they're serious about preserving your children's hearing. Etymotic Research has their roots in audiology, so they're serious about preserving your children's hearing. 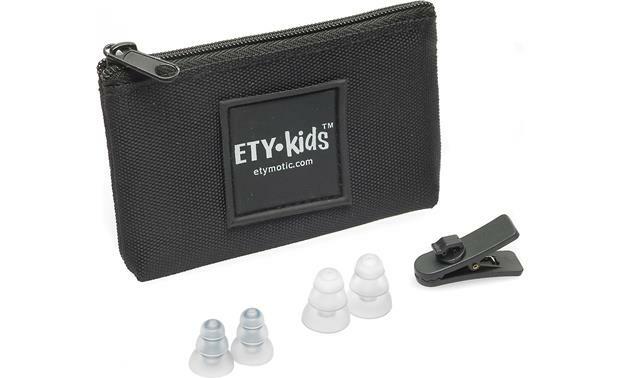 The ETY Kids 3 in-ear headphones are much safer for your kids than the earbuds that come with your phone. But I want to make sure we're clear about what these volume-limiting headphones can and can't do. These headphones best protect your kids' ears by sealing out all the competing noises around them — eliminating the need to crank up the volume on their listening device. But Etymotic also controlled the headphone sensitivity. So even with the volume maxed out, the sound output goes no higher than 88dB. That's much lower than your typical headphone, but remember that younger ears are still developing. So we recommend limiting your kids' headphone time. In fact all of us who use headphones should remember to take a break — I have to remind myself of that sometimes when I'm testing them. It's never too early to teach your kids the value of good sound. 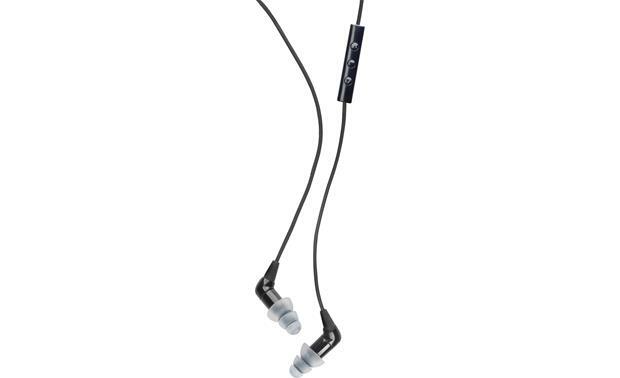 The ETY Kids 3 headphones deliver the clear, true-to-the-recording performance that helped Etymotic build a storied reputation among those of us "seriously into audio." You might not be able to control your kids' taste in music, but you can help them appreciate how it sounds. Kids often wear headphones in noisy places, like the back seat of a car, bus, or on a subway train. Etymotic earphones fit safely and snugly like a pair of earplugs and block out 35-42dB of outside noise — some of the best noise isolation numbers I've ever seen. They fit deep into the ear, and it can be a little tricky to get the proper seal. You may have to help out the first few times, depending on the age of your children. These headphones are great to us in a crowded or loud environment — no matter your age! But with that kind of noise isolation, these headphones shouldn't be used for walking down the street. It works so well that it could be unsafe. Earcup Width x Height 0.293" x 0.293"
Overview: The Etymotic Research ETY-Kids3 in-ear headphones are designed for children, ages 4 and up. 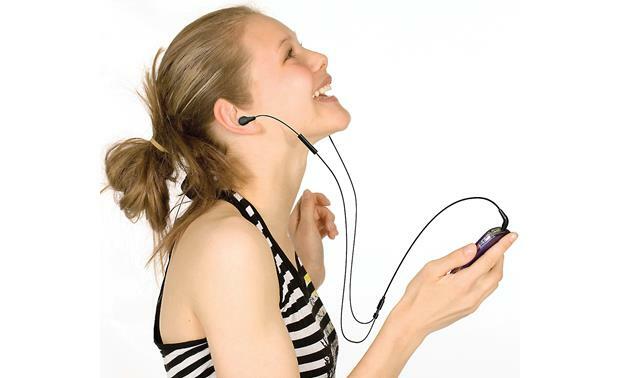 They are engineered for safe sound output to protect the sensitive ears of young people. The EK3s also offer excellent sound quality and noise isolation. The headphones come with a variety of ear tips, a clothing clip, and a zippered storage pouch. 6mm Drivers: The ETY-Kids3 headset + earphones use reduced output 6mm neodymium moving coil drivers with ACCU-Chamber Technology. The lowered sensitivity (76dB) and the noise isolation properties of the ear tips mean it is not necessary to restrict the volume setting on the player. The drivers still have exceptional quality sound with an 85%+ accuracy score. Noise Isolation: The ETY-Kids3s have a closed-back design and noise-isolating ear tips to achieve a 98% reduction (35dB to 42dB) in ambient noise. The 3-flange silicone ear tips work with most sizes of ear canals to ensure a comfortable fit and a proper seal. The Glider ear tips are also designed to provide comfort and adequate noise isolation for larger ear canals. 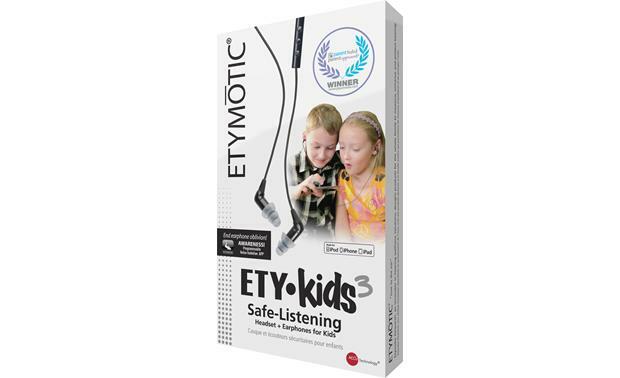 In-line Remote/Mic: The ETY-Kids3 headphones have an attached 48" Kevlar-reinforced cable with an in-line 3-button remote control and microphone and angled 3.5mm plug. The outer buttons control volume up and down, while the inner button controls music playback and phone calls). The remote control is fully compatible with Apple devices (iPhone, iPad, iPod touch), and partially compatible (playback/phone control but no volume control) with Android devices. The in-line remote includes a close-proximity, high sensitivity microphone for superior call quality. 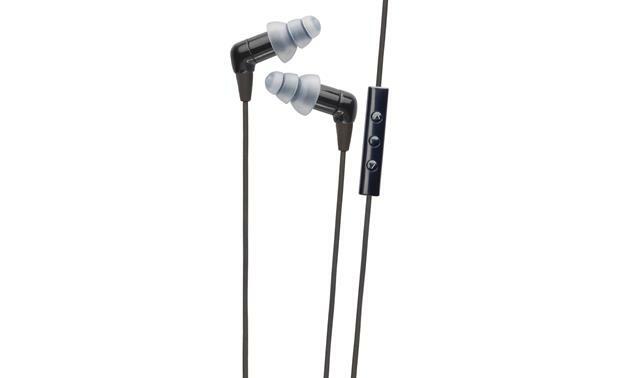 Ear Bud Dimensions: Diameter 0.293" Depth 1.12"